Tillie's Punctured Romance, produced and directed by Mack Sennett for his Keystone Studio in 1914, is a movie milestone. 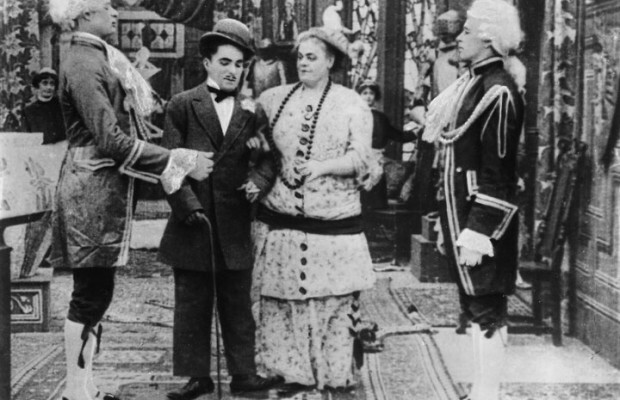 It's the first feature-length slapstick comedy (restored prints run 70 minutes or more), and boasts three top players in the lead roles: Charlie Chaplin, Marie Dressler, and Mabel Normand. Although it's remembered primarily as a Chaplin film he was still an up-and-coming young performer at the time, and made no contribution to the script or direction. This project was based on a stage success called "Tillie's Nightmare," which was known for Dressler's high-energy performance and her rendition of the mock tragic lament "Heaven Will Protect the Working Girl." Of course the hit song couldn't be used on the silent screen, but this adaptation offers lots of slapstick and a wild climax featuring a full scale chase, on land and sea, by the Keystone Cops. By Sennett standards this was obviously a major production, with scores of familiar players in supporting roles, extensive location shooting, and an elaborate set serving as Tillie's mansion for the grand finale. Historic significance aside, however, Tillie's Punctured Romance is something of a letdown when viewed today. For starters, Marie Dressler was not entirely comfortable with the new medium, and simply repeated her stage performance for the cameras, gesticulating wildly, dancing drunkenly, and occasionally shouting her lines– which, of course, we can't hear. (Her true movie stardom wouldn't come until the talkie era.) Dressler's bizarre antics are amusing to a point, but a little of this sort of thing goes a long way. Mabel Normand is cute in her stylish outfits, but her role gives her little comic business of her own to perform beyond reacting to the activities of her co-stars. And Chaplin, playing a cold-hearted villain who seduces, robs, and then abandons a homely farm girl, is about as far from the lovable Tramp as one could imagine. It's interesting to see Charlie in such an uncharacteristic guise, and it speaks well for his versatility, yet we wait in vain for those genuinely funny moments we find in his own films, even the early ones. He plays the scoundrel with relish, but the part could have been taken by any number of other comedians. Even so, in one late scene Chaplin managed to slip in a gag that suggests the Charlie we know: parading before servants in his new finery, he trips over a tiger rug, then 'punishes' the beast, lifting it by the tail and giving it a quick spank. That was practically the only laugh I found in Tillie's Punctured Romance. Otherwise, most of the humor comes from watching grotesquely-dressed people kick butts, fire pistols and fall off the pier into the ocean, all of which represents Sennett's taste in comedy, not Chaplin's. 'Tillie' is best appreciated by film scholars. It has its moments, but can't compare with Chaplin's own later features such as The Gold Rush and The Circus. Viewers who have never seen a classic silent comedy may get a distorted impression of what they were like from this one, in the same way that The Great Train Robbery of 1903 suggests that all silent drama was laughably primitive. Personally I find these very early movies fascinating, but they need to be seen in the larger context of their time; the silent cinema shouldn't be judged by its earliest products. P.S. Autumn 2010: A newly restored version of Tillie's Punctured Romance has become available, one that is substantially longer than the various re-edited and truncated editions which have circulated for many years. Modern viewers can now get a better sense of what audiences of 1914 saw when the film was new. The restored 'Tillie' remains very much a vehicle for Marie Dressler, but it's gratifying to report that a fair amount of the "new" footage involves Mabel Normand. She has more to do during the party sequence at the end, disguised as a maid as she sips punch and spars with her employers and fellow servants. The flirtation sequence between Charlie and Marie at the beginning has been extended, and Dressler has more footage at the police station when she's jailed for drunkenness. 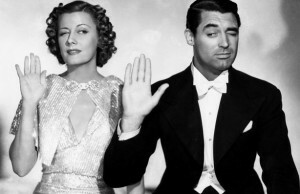 The over all impact of 'Tillie' is essentially the same, but nevertheless it's good to see this historically significant film get the archival attention and respect it deserves. 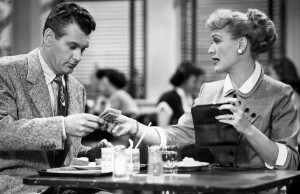 The comedy in "Tillie’s Punctured Romance" is admittedly mediocre, but many who love classic cinema will still find this feature worth seeing once just for its cast. 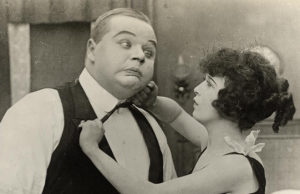 Besides Mabel Normand, it has Charlie Chaplin and Marie Dressler in some of their earliest film roles, plus Edgar Kennedy and Mack Swain in smaller roles, and of course the Keystone Cops. Most of these wonderful performers are not shown to their best advantage here, but it is still a rare chance to see them all together. The film in itself is only fair. The story-line had possibilities, but Mack Sennett’s disjointed, knockabout style just doesn’t work very well in a full-length feature. Most of the material is quite predictable after a while, and except for the "Cops", who have a few funny moments, the cast members do not have roles that give them a chance to do what they do best. There are a handful of decent gags amongst the routine physical humor, and a film-within-a-film sequence that comes off all right, but in general there just was not enough worthwhile material to fill up a running time of this length. 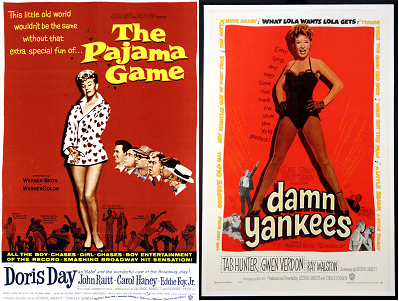 With this cast, though, it might have made a very good two- or three-reeler. Great silent Mack Sennett slapstick with Charlie Chaplin and Marie Dressler. 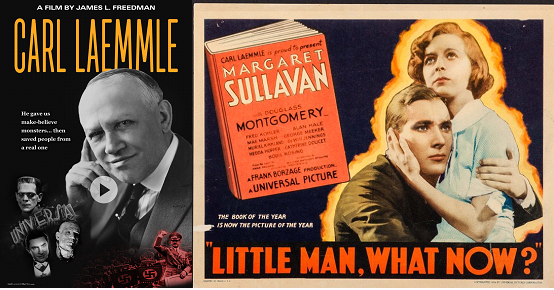 Sennett is Sennett; it is great Chaplin, though he was dissatisfied (probably because he wasn’t directing it, too); but the thing that really makes this movie great is Marie Dressler. The way she carries her considerable girth is a major element in the comedy and her big face and huge eyes are strictly for howling. Marie was born in 1868 and died in 1932, half in each century, a life in theatre and film. Such a shame she didn’t have more time to live in the talkie era: I think she would have become one of the huge names of film. There’s only one Marie Dressler. She shines in ‘Dinner At Eight’ and ‘Min And Bill’ both of which, among others, included Wallace Beery, a great foil for her talents. What a treat that this 1914 feature-length comedy still exists. Historically important as the first feature comedy, it also boasts three great stars: Charlie Chaplin, Marie Dressler, and Mabel Normand. Directed by legendary Mack Sennett, this broad comedy was adapted from Dressler’s stage hit. It’s rough, with missing pieces, but enough exists to showcase the comedy talents of this trio of stars. The story is trite but Dressler and Chaplin are so funny, you forget the plot and laugh along with the mugging and pratfalls. So far as I know, Dressler and Chaplin never worked together again. What a shame. Dressler adapted to talkies (winning an Oscar for Min and Bill) so much better than Chaplin did. 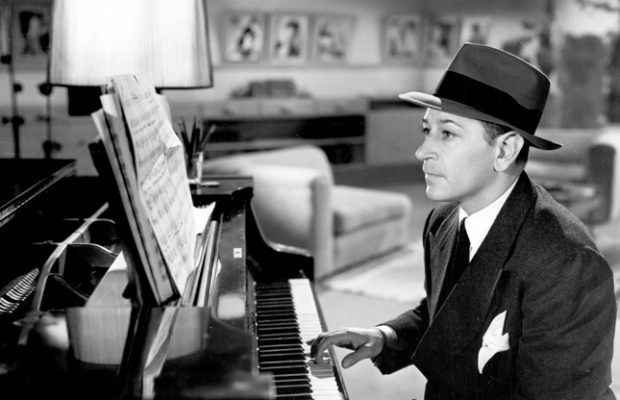 Normand died before the advent of talkies. Anyway, certainly worth a look. Co-stars Chester Conklin, Charles Murray, Minta Durfee, Edgar Kennedy, Charley Chase, Mack Swain, and possibly Milton Berle as the newsboy. Berle always said he played it. Edna Purviance may be the leading lady in the film Chaplin and Normand go to see. I love this film.